Gintama is easily my favorite series of all time. It has over 250 episodes and is still going strong. When it wants the series can make me both laugh and cry. Amazing action and inspirational moments can be found in this series as well. They say first impressions are important but in the case of Gintama they usually don't do him justice, so before you decide by the premise here's a bit of advice, go by the 3 episode rule and you'll see what I mean, Gintama is by no means your average Shounen Jump story. Yeah I know 300+ episodes seems like a pretty big commitment, but no need to fret Gintama is an episodic series. It sounds like a train wreck of a series. But it isn't. 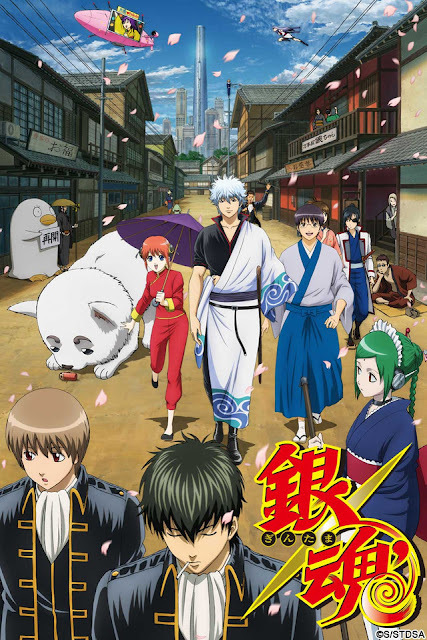 Gintama combines comedy, sci-fi, action and drama as many other series wish they could. It proves itself a better fit as a "slice of life" anime than a straight shounen, but this comes as a welcome relief to anyone tired of the 300+ chapter story arcs with little to no plot advancement (and endless filler in the anime adaptation). Don't like the sound of episodic shounen you say? Well it’s episodic because it has to be. There are story arcs, mind you, but they usually don’t last longer than 3 or 4 episodes at a time the rest of the episodes are short stories contained usually in one episode. Gintama's strength is not in the usual beat strongest boss, then beat the strongest strongest boss etc. It’s in its hilarious yet at times surprisingly deep episodes. Okay, all this fighting and funny antics made me miss my friends in-game. I’ll see you guys around Imma head out and play with my friends in Cabal.